“Epigenetic inheritance compels an extension of the modern synthesis”. 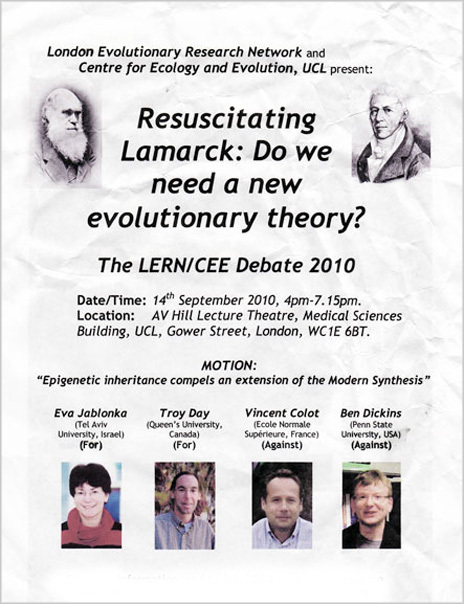 After the debate (the motion passed as I remember), I asked the panel (see video above) whether they could imagine a world where we were having the debate in reverse… That is debating whether the long overlooked Darwinian model of evolution should be incorporated in to our understanding of Lamarckian evolution? Thanks to LERN for the video.